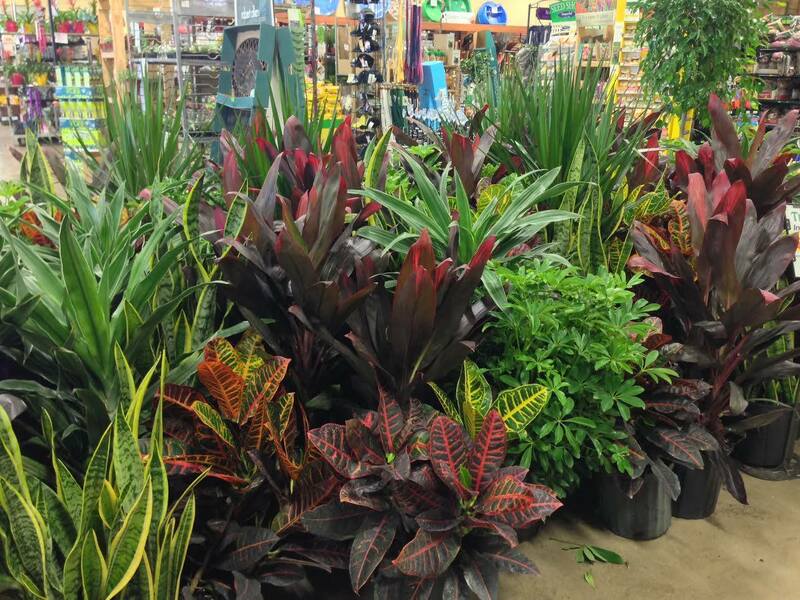 Available in an assortment of pot sizes & varieties, our Tropical Foliage House plants are available year round. 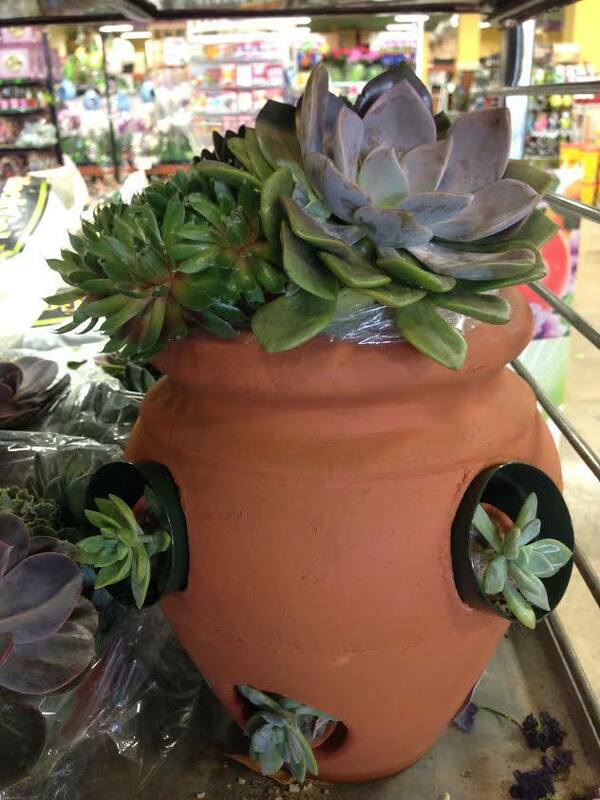 The most popular by far are our 6″ & 10″ pot sizes. Some of the common varieties you’ll find are Figs, Draceana Marginata, Peace Lily, Philodendron, Cat Palm, Snake Plants, & Croton. During the Spring & Summer months blooming varieties, including Hibiscus, Mandevilla, Gardenia, & Allamanda, are available, adding bright splashes of color to your outdoor living areas until they migrate indoors for the Winter. Our newest addition to our indoor plant selection these amazing plants grow without soil! Easy to care for they are extremely versatile in their use (check out pinterest or google images for some great ideas!) and are very popular decorations in offices & throughout homes. 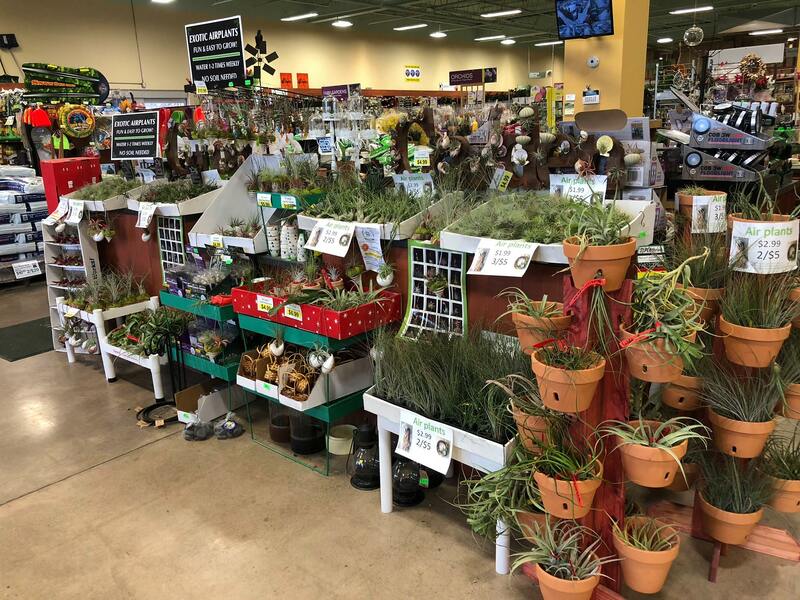 We carry everything you’ll need to get started – terrariums, moss, stone, spray bottles, fertilizer, & of course, air plants! Check out our Care Sheets section for more information on caring for your new plant addiction. Hardy, drought tolerant plants that are fun for children of all ages. Easy to care for, they will survive more neglect than most other house plants. Very simple to care for they make excellent additions to terrariums & miniature gardens. This very popular form of miniature gardening allows you to get creative, creating tiny worlds for your new fairy & gnome friends. Keep it simple or as wild as your imagination. We carry starter kits for those wanting to get the basics as well as individual accessories to expand & decorate with.